Some people are saying that assault-type weapons genie is out of the box. Their belief is that the ban on assault-type rifles can never be reinstated. They fear that collection of assault weapons may involve violent confrontations with gun extremists. There is a way out of this mess caused by letting the assault weapons ban expire. It involves three steps. All future sale, trade, and/or gifting an assault-type rifle, including all rifles with an automatic and/or semiautomatic firing function, would be banned in the United States of America. These weapons would not be allowed to be imported, nor purchased outside the United States and brought into the country. Any current owner of an assault-type rifle would have the option of surrendering hu’s* weapon to local law enforcement. Those guns would need to be secured or destroyed. Anyone with peaceful intent should be willing to comply with the registration of all assault-type weapons. Those that fail to register their automatic and semi-automatic weapons shall be considered to have a violent intent. They will face stiff fines and possibly prison. Registration will also consist of a background check, regardless of whether one was done when the owner purchased it. Assault-type weapons cannot be sold to anyone else without approval from the local law enforcement agency. That agency will be required to perform a background check. Anyone owning a weapon in question must obtain and maintain a one million dollar liability insurance policy. This is similar to the liability policy required to own a car. Failure to do so will require forfeiture of the gun and a significant fine and possibly prison. Per the Second Amendment, an owner of an assault-type rifle must join a State National Guard and submit to regular training and duty as long as they own the weapon. Use of the weapon shall be regulated by that State’s National Guard, including the determination of mental and physical qualifications of use of such weapon. The Second Amendment gives me a constitutional right to own an assault rifle and the government can’t take away my guns. False. The Second Amendment begins with “A well regulated militia…” That is the focus of the amendment. Everything that is stated afterward is subject to the topic of a well regulated militia. Well regulated clearly means that the government is expected to regulate gun ownership. The Supreme Court ruled that the government can’t take our assault rifles away. False. The Supreme Court ruled in The District of Columbia v. Heller that the government can’t ban handguns in the home, providing the person meets the qualifications required to own a gun. The Supreme Court specifically stated that more dangerous weapons could be banned from public use. In fact, a ban on assault rifles existed from 1994 until 2004 when Congress failed to renew the ban. The ban was constitutionally legal. I have a right to defend myself with a gun. False. If you use a gun to injure or kill someone it must be proven that it was in defense. It is true, that in many states if someone enters your home it is considered allowable for a homeowner to shoot that person even if they are unarmed. The law does not give a person the right to be judge, jury, and executioner. However, it is rare that a gun death is a legitimate ‘defensive’ act. In 2013, of 33,636 deaths due to “injury by firearms,” 21,175 (63%) were suicides and 11,208 (33%) were homicides, 505 (1.5%) were deaths due to accidental or negligent use of a gun. We are the most well-armed nation in the world and over 97% of all gun deaths were not because someone killed the bad guy. The following are the names of the victims killed in major mass shootings since, and including, the Sandy Hook Elementary School shooting on 14 December 2012. Gun extremists like to portray the perpetrators of mass shooters as known criminals that should have been identified and stopped. That is a damn lie. Like millions of people in the United States, mass shooters often have anti-social behavior and/or involve themselves in hate-filled social media posts. Almost all of those people will not become a mass murderer. None of the mass shooters are identified as criminals until after they have picked up a gun and killed people. In some of the instances listed above the mental illness was known but was not an accurate predictor of the actions taken by the perpetrator. Almost all of the perpetrators were U.S. citizens, male, had easy access to guns, and/or was obsessed with gun ownership. The five worst events have occurred after the ban on assault rifles was allowed to expire in 2004. Half of the top 22 mass shootings have happened in the last 18 years and the other half occurred in the 50 years prior. The simple fact is the explosion of gun ownership in the past three decades has resulted in an explosion of gun deaths. We are not safer now than we were 50 years ago, and while the funding for mental illness treatment is a factor, if guns weren’t easily accessible, the mentally ill would not have the opportunity to use them. There are only three mass shooting events among the top 22 where the guns were not legally obtained. In two cases the guns were obtained because the criminal records of the perpetrator were not on record as they should have been. In the Columbine High School shooting, the two teenagers used friends to buy them guns. The other 19 events were people who had easy, legal access to the guns and if they hadn’t had that access, I wouldn’t need to write this article. Last Tuesday (February 19,) police detectives visited Frank Sain at his office at SofTec Solutions in Englewood, Colorado. 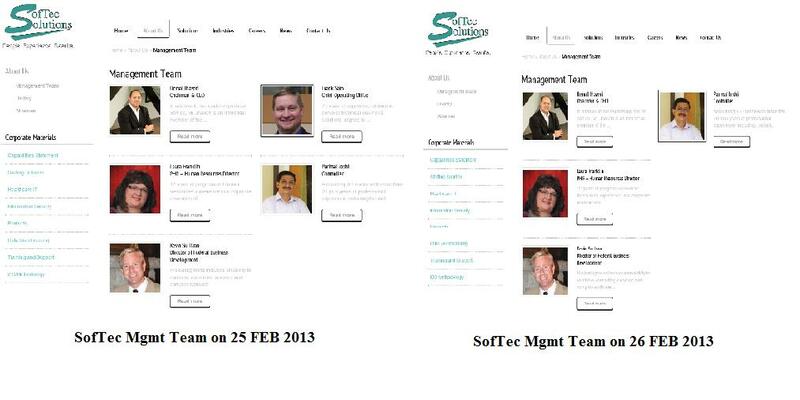 Sain was hired as the Chief Operating Officer for the technology company in the Fall of 2011. As reported by the Denver Post, they questioned him about six emails he sent between February 13 and 15, in addition to voicemails left to Colorado State Representative Rhonda Fields. Representative Fields has proposed legislation to limit gun magazine capacities in Colorado. The emails and voicemails were said to be sexually and racially offensive and indicated he was enraged by the proposed legislation. Two days after the police interviewed him (February 21) an unsigned letter was received by Representative Fields that threatened harm to both her and her daughter. 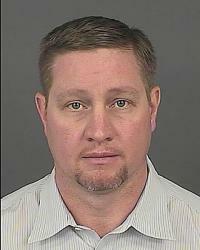 The next day Frank Sain was arrested and this past Monday the arrest was reported in the Denver Post. According to the Denver Post, Sain admits to the emails. The situation is an important case study for business because it is the type of crisis that every business must be prepared for in today’s social media, politically charged world. The obvious issue is public relations. A rank-and-file employee who acts out in a public forum out can damage a company’s reputation, but to have a manager, and in this case, a company executive, who acts out creates an impression that the organization might have been involved, or at least, enabled the behavior of the person. In addition, an organization’s website typically boasts about its executives and when one of them misbehaves it makes the company look incompetent. It is important for a company to not prejudge an accused employee; however, when the basic allegations are admitted to by the employee the organization must take quick action to divorce itself from the actions of the employee. In this situation, with the allegations reportedly admitted to by the employee, SofTec Solutions quickly responded by removing Frank Sain from their website within 24 hours of the Denver Post story. Separating an employee is never easy. Separating an employee who has demonstrated rage and flaunts his gun ownership is even harder. An organization cannot have an executive who makes derogatory sexual and racial statements and threatens to do violent harm to others. Of special concern is that in this situation the person seemed to escalate in his bad behavior after being questioned by law enforcement, signaling the potential of underlying, uncontrolled rage. If the person can be reasoned with, it would be best to sit down with the employee and discuss the situation. Allowing the person to resign might be appropriate; however, in some cases an organization may have a duty to inform other potential employers of the circumstances of the separation. Making the employee someone else’s problem is not a smart move, especially if the company failed to warn the new employer of potential violent behavior. The best practice in this situation might be to put the employee on paid leave for a period of time and require he seek counseling to address his behavior issues. There should be an understanding that separation with some type of severance package would occur upon compliance with the counseling requirement. The organization should discuss the situation with legal counsel that is experienced in employee law as local, state and/or federal laws may dictate what an organization can, must, and can’t do in these types of circumstances. Engaging an expert in crisis management and/or violent employee situations should be part of separation planning. Under these types of circumstances an organization should conduct a thorough investigation of the employee’s co-workers, clients, etc. The purpose is to identify the scope of the issue. Did he confide in people who should have informed the company? Are there others who are sympathetic to him and might have behavior issues of their own? Does the company foster extreme political anger and if so, how should it be addressed? Did he act out among customers/clients and, if so, what is the impression they have of the company? Did he have an abusive email style with employees and/or customers. There are many questions that must be answered if an organization hopes to move out of the crisis. Burying the incident may make everyone feel better, but it may turn out that the problem was just the tip of the proverbial iceberg. Training, counseling and other remedial efforts for all employees may be required to heal the damage caused by the executive who put the company into the crisis.